To Get Published or Not to Get Published: Challenges and Opportunities in Economics from 1970 to Present. This working paper was distributed by nep-his on 2013-01-12 and contains some information that might be of use to academics engaged in economics related disciplines. In particular, it should be read by young and mid-career academics whose future is still highly dependent on the number of their publications and the ranking of the journals where they publish. This survey by David Card and Stefano della Vigna, both from the Department of Economics of UC Barkeley, provides several facts and comments about articles published in top economics journals from 1970 to today. The paper considers the top-5 economics journals, namely the American Economic Review (AER), Econometrica (EMA), the Journal of Political Economy (JPE), the Quarterly Journal of Economics (QJE), and the Review of Economic Studies (RES). All the articles published between 1970 and 2012 have been tracked looking at the number of authors, the length of the article and the number of citations. The number of submissions to each journal from 1990 onwards has been collected as well in order to compute acceptance rates. The first two facts that emerge from this article are that the number of submissions per year almost doubled between 1990 and 2012 and that of articles published declined from 400per year to 300 per year. These first two facts will appear particularly grim to those who are in the early stages of their academic career, as they boil down to a decrease of acceptance rate from 16% to 6% today. However, this tendency is contrasted by a rise of the average number of co-authors from 1.3 to 2.3 in the same period. Finally, the length of the articles has increased three-fold from 1970 to today. These first three facts are worth to be analysed together. It is the opinion of card and Della Vigna that the increase of the number of co-authors is a response to the more restrictive policy by journals on publication. The reason for teaming-up is that publications with one or multiple authors have the same weight in terms of career. Therefore, if acceptance rate decreased, the number of papers authored by each scholar has decreased less than that. The dramatic increase of the length of articles is interpreted by the authors as an improvement in the quality of research, which is due to both more selectivity and to joint work of scholars. Moving to the citations front, the readers will be glad to hear that whenever they will manage to get published on a top-5 journal, this will make them extremely popular, although it will take a while. Papers published today have a lower number of citations compared to the ones published in the in the 1990s, which reminds us that it takes years to accumulate citations. However, if you compare the papers published in the 1970s to those of the 1990s, they have fewer citations. This is probably a sign of the quality increase in papers that we have seen from the 1990s onwards. The ranking of journals in terms of citations has been fairly stable over the past decades, suggestion a sort of stickiness in the relative reputation of journals (the notable exception is the QJE that climbed four positions and became first). The last fact to report is that the number of citations depends on the field: more empirical fields (Development and International Economics) tend to have more citations from recent papers while more theoretical fields (Econometrics and Economic Theory) still have more citations from older papers. In conclusion, this survey on publications on the top-5 journals in economics tells us that publishing has become tougher, it requires higher quality of the papers, longer papers and collaboration among scholars to pass the harsh judgements of referees and editors of these journals. However, the glory received from the publication in terms of citations and career seems to be worth the suffering. This entry was posted in Bibliometrics, Institutions and tagged method, surveys on 2013-02-04 by missiaia. 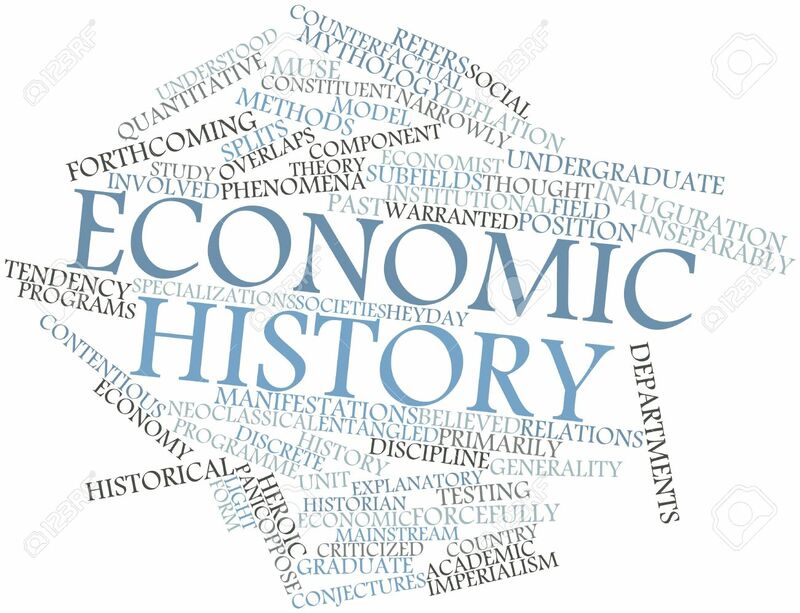 How many economic historians are there in the world? In which countries or world regions are they concentrated? Can we explain differences in the number of economic historians who are participating in world congresses, and which determinants encourage or limit participation propensity? Using an e-mail questionnaire, we analyse the global situation of this discipline. Overall 59 countries were available to be surveyed in this overview. We estimate the overall number of economic historians in the world to be around 10,400 scholars. Joerg Baten and Julia Muschallik offer a worthwhile account of the state of economic history as a discipline today. Their effort to establish its distribution around the wold as well as estimating the number of participants in the field is significant and convincing. A number of interesting challenges had to be sorted to arrive at this estimates and cross checking by aggregating through annual conferences and journal publications reinforces the message. But perhaps these estimates could have been more convincing if they had considered the distribution and authorship of working papers distributed by nep-his or SSRN. This paper opens a number of interesting debates. First, it has made clear we know little as to the actual emergence and evolution of the discipline around the world. There is thus an opportunity to report how and why economic historians became self aware, establish themselves as an area of knowledge and its teaching and research was adopted in different counties. A history of the discipline and its participants if you like. Secondly, there is an issue about how they dealt with different “tribes”. Establishing the limits of your search always has to deal with “gray areas”. Baten and Muschallik argue that it is in countries with high degree of specialisation such as the US and the UK where business and economic historians can be identified as separate groups. But precisely because economic history combines methods and rhetorical styles of other disciplines, there could have been a bit more sensitivity in the questionnaire to those which feed from economic history and vice versa, namely to allow respondents to identify if they felt to the part of (or actually being active in) business history, marketing history, accounting history and increasingly some within critical management studies. Of course, if according to Baten and Muschallik economic historians are indeed something of a “luxury product”, then what are these other people/areas? Thirdly, I found the link between the number of academics in a country and its GDP particularly interesting. Coming back to my theme above of a history of the discipline, this opens up questions such as why has specialisation taken place? Why and when did this happen? Is there collaboration or antagonism between these groups? But as mentioned, the line has to be drawn somewhere and answering these sort of questions was not their intent. Finally, to items for further reflection: a) it will be interesting to see the extent to which, ceteris paribus, their predictions on participants to the World Congress in South Africa are on the mark. b) I was quite happy to see their estimates of total economic historians around the world at 10.5k people, specially as of today nep-his has about 6.5k unique subscribers. New Bloomberg Economic & Business History Blog, “Echoes”. This entry was posted in Method & Epistemology in History and tagged globalization, surveys on 2011-11-23 by bbatiz. The 20th Century saw substantive shifts in the structure of agriculture and agricultural production in South Africa. Farm size grew, farm numbers eventually declined, and production increasingly emphasized higher-valued commodities, notably a range of horticultural crops. The real gross value of agricultural output grew steadily (by 3.32 percent per year) from 1910-1981, but declined thereafter (by 0.21 percent per year from 1982-2008). These long-run sectoral changes provide a context to present and assess an entirely new data series on public agricultural R&D (and related regulatory and extension) spending and associated scientist trends. South African agricultural R&D has been affected by a series of major policy changes. These are also documented and discussed here, along with the associated institutional changes regarding the conduct and funding of public agricultural R&D in South Africa. We reveal a number of disturbing trends, including an effective flat lining of the long-run growth in total agricultural R&D spending that took hold in the 1970s, an erratic path of funding per scientist, and a loss of scientific personnel in recent decades. Moreover, South Africa has lost ground relative to its competitors in international commodity markets such as the United States and Australia in terms of the intensity of investment in agricultural R&D. These developments are likely to have long-term, and detrimental, consequences for the productivity performance and competiveness of South African agriculture. They deserve serious policy attention as the 21st Century unfolds, with a firm eye to the long-run given the long lags (often many decades) that typify the relationship between agricultural R&D spending and productivity growth. This paper highlights the importance of research into business and economic history outside of “Triad” countries (that is, the USA, Western Europe and Japan). More to the point, the need to rescue data relevant for economic management in sub-Sahara Africa (such as the South African export-led fruit, wine, and sugar industries which, the authors tell us, have kept a positive trade balance since 1910). This paper thus offers a first interpretation of a newly constructed long term series of South African agricultural data while focusing on productivity gains from agricultural R&D (in their science policy context). A very rich and detailed study indeed. Although it would have been interesting to learn more about the changing nature of agricultural organisations themselves (and particularly the influence of say legacy institutions from the British empire to foster entrepreneurship and trade patterns), this paper is certainly worth a read. This entry was posted in Africa, Historiography, Method & Epistemology in History and tagged Africa, surveys on 2010-02-07 by bbatiz. Financial crises and financial reforms in Spain: What have we learned? Like the rest of the world, Spain has suffered frequent financial crises and undergone several changes in its regulatory framework. There have been crises that have been followed by reforms of the financial structure, and also troubled financial times with no modification of the regulatory and supervisory regime. In various instances, regulatory changes have predated financial crises, but in others banking crises have occurred without reference to changes in the regulatory regime. Regulation and supervision has been usually absent in the XIXth century, while in the XXth century policy makers have been more active and diligent. 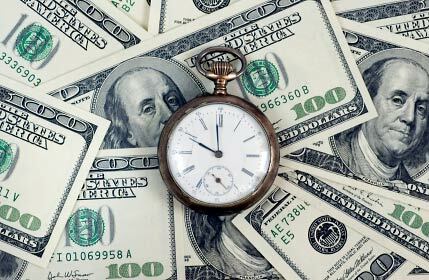 Moreover, all major financial crises have been followed by intense financial restructuring, although as elsewhere banking restructuring and interventions not always have been successful (in fact, the cases of failures and mixed results overcome the successful cases). The paper provides a short history of the major financial crises in Spain from 1856 to the present, and also reviews the main financial reforms and the distinctive regulatory regimes that have been in place in this last 150 years time span. But can we really prevent financial crises? Can we design a potent regulatory framework capable to assure the stability of the financial system against all kind ofeconomic events? This entry was posted in Historiography, Money & Banking, Spain and tagged financial crisis, method, surveys on 2010-02-01 by bbatiz.